Affectionately nicknamed “meditation in motion” by the Harvard Health Publication, Tai Chi offers many health, wellbeing and physical benefits while still being accessible to all levels. This gentle but challenging form of exercise can improve your strength, flexibility and balance while decreasing stress and even helping you sleep better. It has also been proven to improve the quality of life for people living with different chronic illnesses such as arthritis, Parkinson’s disease and can even help the recovery of patients who have recently had a stroke. It is truly remarkable that Tai Chi is able to offer all these amazing benefits with very little risk of injury. This makes it the perfect activity for health conscious seniors looking to improve their quality of life without endangering themselves. It’s a great way to remain healthy and active for your entire life while practicing a form of meditation for your body that promotes concentration and inner peace. Originating in China as a martial art and a form of meditation, Tai Chi has a long history and tradition dating back as far as 2,500 years ago. The exercise consists of a sequence of slow, deliberate movements through a series of poses. Each pose gently gives way to the next, creating an endless series of movements. You are literally always in motion during Tai Chi. As the Harvard Health Publication pointed out, Tai Chi differs from other forms of exercise in several key ways. Unlike other forms of exercise, Tai Chi movements are never forced, allowing your muscles to be relaxed. Your joints are neither bent nor fully extended which means that your connective tissue is not stretched or at risk of injury. These key elements make Tai Chi an easily accessible activity that is gentle enough for any level, even during recovery from surgery, while still being challenging enough for more fit adults. While Tai Chi’s gentle movements make it easily accessible to all, this does not mean that it is not a tiring and thorough workout that can with time improve your physical health. Tai Chi can help improve your muscle strength, balance, and flexibility. A study published in Alternative Therapies in Health and Medicine, conducted in 2006, found dramatic improvement to lower and upper body strength in patients over the age of 66 with below-average fitness and cardiovascular risk. These improvements were found after just only 36 Tai Chi sessions. Improvements were also found in the patients’ flexibility, particularly in women. Tai Chi can also lower blood pressure, improve cardiovascular fitness in elderly adults, help relieve chronic pain and increase energy, endurance and agility. The calm and relaxation that Tai Chi promotes can also improve the duration and quality of one’s sleep and diminish stress. All of these many benefits lead to improved overall health, wellbeing and quality of life as we reach those golden senior years. Tai Chi can not only help to prevent illness, but can also improve the quality of life for those living with chronic illnesses and pain. A study done at Tufts University found that Tai Chi was more effective at relieving the chronic pain associated with arthritis than other standard exercise techniques. It was also found to improve a patient’s mood and physical wellbeing. 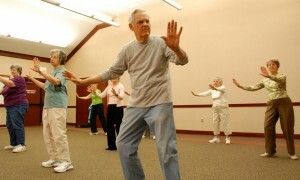 Tai Chi can also help improve the quality of life for patients living with Parkinson’s disease. A study conducted by the Washington University School of Medicine in St. Louis found that Tai Chi helped the balance, walking ability and general health of patients with Parkinson’s disease. It can even help patients recover from a stroke because of the drastic improvements that it can make to one’s balance. With endless benefits, limitless possibility for fun and a 2, 500 year track record to back it up, Tai Chi is the perfect activity for health conscious seniors looking for a way to improve their quality of life while strengthening their body and preventing potential future diseases. Living a healthy and active life is a responsibility that we carry with us all our lives. 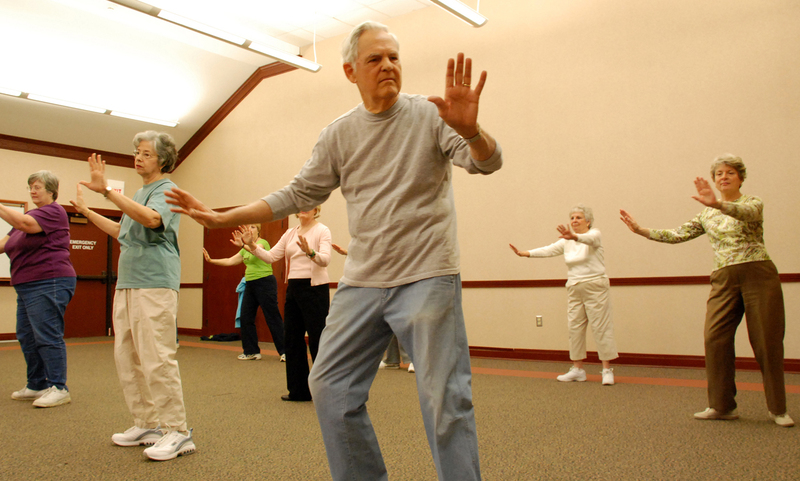 By using Tai Chi to promote inner calm and a healthy lifestyle, you can live your golden years to the fullest. Not only will Tai Chi improve your health and by extension your quality of life, but you will also find a new way to express yourself through your body and the beautiful movements you can make with it when using Tai Chi.